This great value bundle includes Kirk Cameron's Revive Us DVD, a short-sleeved 'Time to Pray' t-shirt in blue, a signed limited edition Revive Us poster, and a blue 'Time to Pray' rubber wristband. 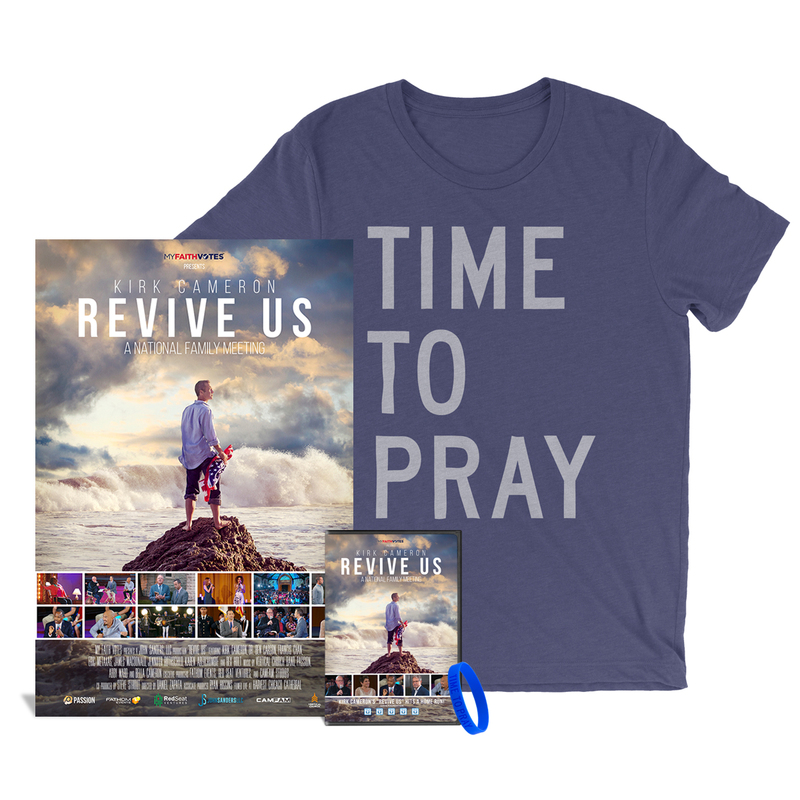 Commemorate the Revive Us live event held in Chicago in October 2016 with this exclusive merchandise bundle. Learn how we can come together as a nation with faith, hope and optimisim during dark times. Features special guests Dr. Ben Carson, Pastor Francis Chan, Eric Metaxas and more.